For many of my clients, deciding and choosing a color palette is often the most difficult part of the web design process. Which is understandable, because the color is the first thing most people will notice when they open a website and first impressions should be good impressions. 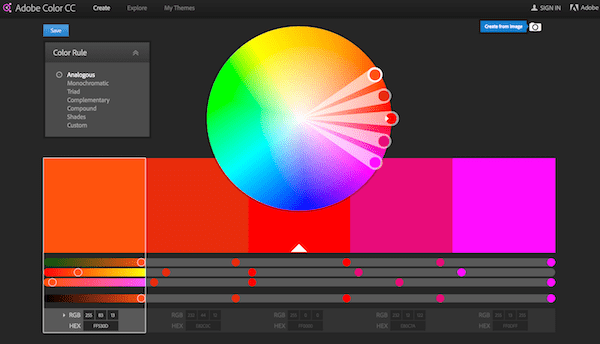 If you are having trouble coming up with a color palette, have no fear because we are living in an age where apps and tools are available for every need, including color help. 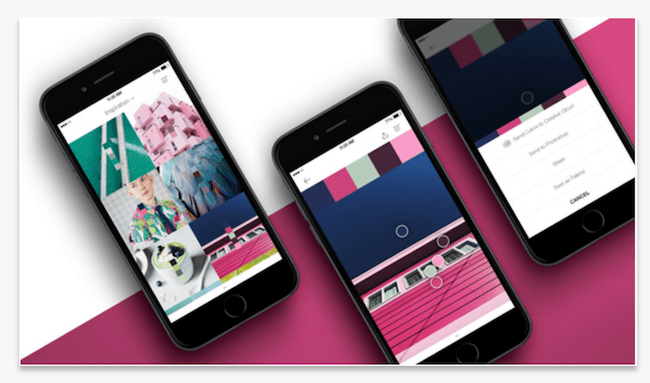 With this phone app, you can take any photo and pull the hex codes to find the color palette of your dreams. 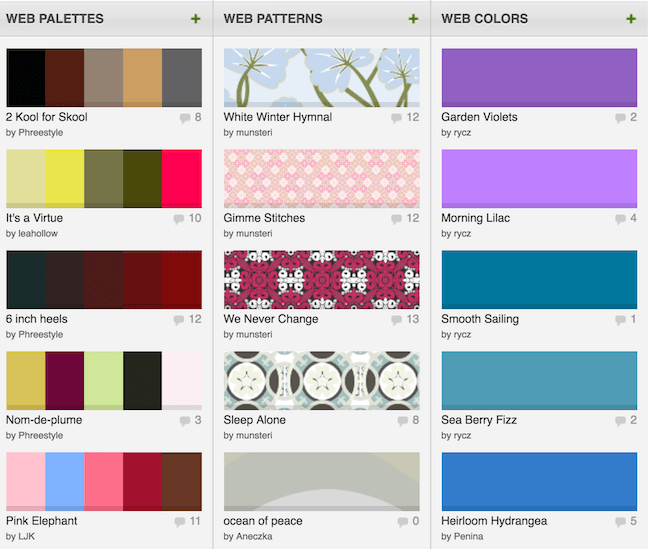 This is a great community that is dedicated to colors and color trends. People from around the globe share the palettes they love. 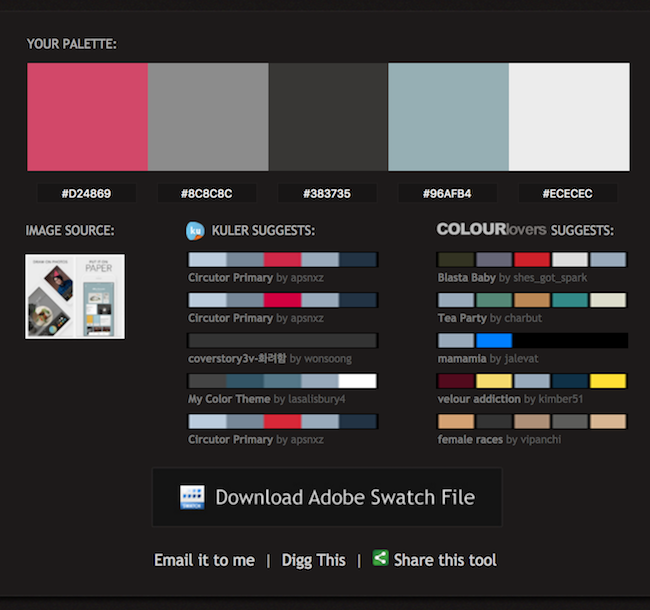 This site allows you to upload an image and get a palette. You will also be able to download an Adobe swatch file. Adobe Color lets you choose colors and then it will find the analogous, monochromatic, triad, complementary, compound, or shade of those color. You can also view the RGB and Hex codes. 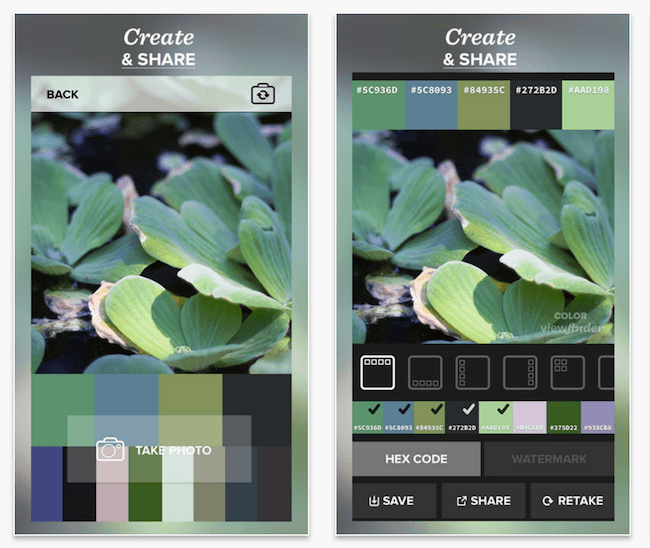 Build color palettes from images and generate a Pantone palette right from your phone. You can select any part of the image to use until you find the right color.